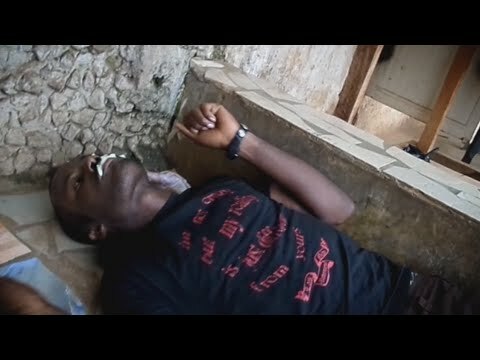 There is a growing trend of Tramadol abuse among Ghanaian youth in some parts of the country. Recent surveys have shown the drug is also used among market women, drivers, and in some cases, students. The abuse of Tramadol, a pain relief drug, according to medical experts, functions like heroin and can cause psychotic problems as well as damage vital organs in the human body. The following report was put together by the man Akwasi Koranteng who goes Undercover to expose the hidden trade of Tramadol. The recent reportage on unlawful tramadol use among Ghanaian youth is a disturbing development. The situation is becoming frightening as young women and children join the bandwagon, and without a swift governmental response to hold the situation, the country could soon be engulfed by a public health crisis. Moreover, the consequences of such an iffy situation could be dire. Tramadol is an opioid pain medication used to treat moderate to severe pain and is believed to be substantially addictive. Opioids – heroin-like substances – are the main ingredient used in the production of tramadol, and they act as receptors to produce morphine-like effects. They are drugs prescribed only by Medical Doctors for some specific categories of patients. Self-medication of such drugs can lead to overdose and potential death. The investigative works covers the story of a 16 year old shs Student who got hooked on Tramadol for 2 years and now has seizures and as well the arrest of illegal Tramadol 225mg wholesaler in the country.